Hi and welcome for the weekly Paint Parade. I'm getting back into painting now the school holidays have finished, and now I'm not coughing every two seconds. I am looking forward to being inspired again this week by you all. There were some lovely pieces linked up last week. I had slow internet down at Eden and it was impossible to comment on my iphone but I spent some time this week looking at and commenting on all the amazing furniture paint transformations. Thank you for taking the time to share your work. 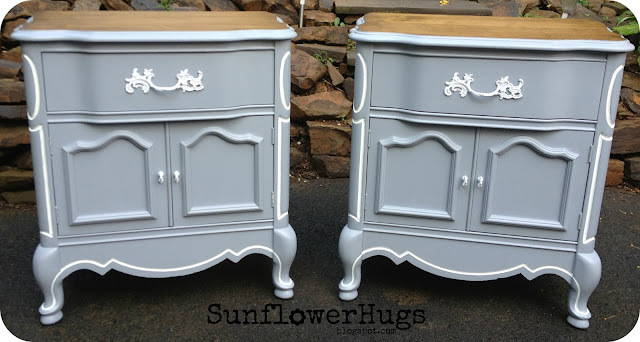 This week I wanted to highlight these sweet French style bedside tables by Susan of Sunflower Hugs. I love the shape of these and the French country style that she has painted them. This is the sort of furniture that I am always on the look out for but it sells for a lot even unpainted in Australia. They are lovely Susan, well done. I also loved this little side table by Hayley. The fret work on the table is so beautiful and the paint technique she has used is very similar to what my mother did on a cabinet in the 1960's. It has turned out beautifully Hayley and well worth the effort involved. Maybe one day your kids will be treasuring this like I do my mum's painted furniture. Below is the furniture that my mum painted in a similar style. Good to see that this style of painting stands the test of time. 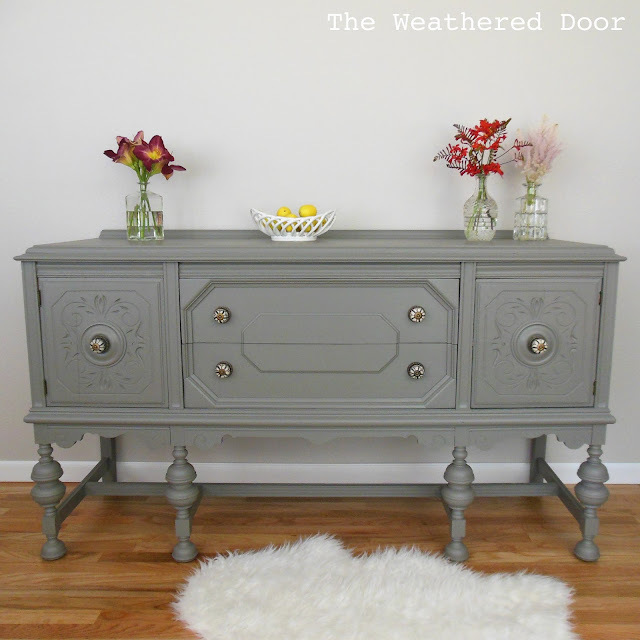 and the link most clicked on was The Weathered Door's Gauntlet Grey buffet Yet another divine makeover by the talented Reeves. I adore this makeover and I am so inspired by Reeve's beautiful work. Now let's see what you have got. If you've got a facebook page or blog I'd love it if you could share this post and generate some more interest in this weekly link party. 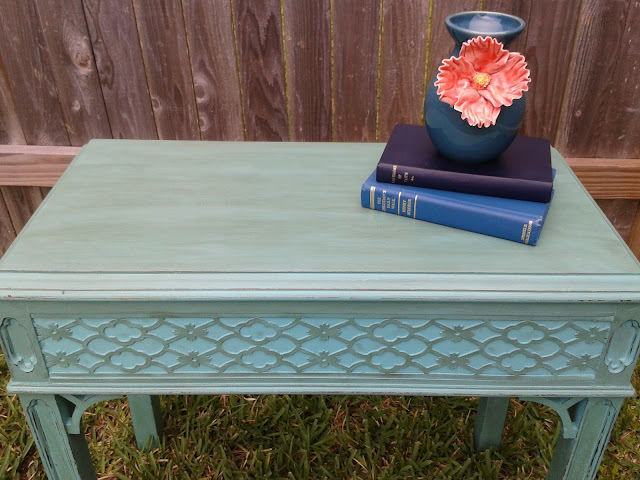 Thank you so much for featuring my French Country tables! How fun to see your mom's furniture along side the gorgeous table. I am working from out of town, but I will add your button tomorrow when I get back, and am sharing the party on FB! Thanks! Oh you're hosting a link party. How exciting. I linked up my pedestal table so I could join in. Looking forward to seeing all the great projects. Thank you for featuring my table! It's an honor to have it compared to the things your mother painted! As a new blogger I find that especially exciting! Thanks again!